SKU: BD70976. Categories: Bodybuilding, Childrens. Tags: Apple Computer, computers, electronics, engineering, Steve Wozniak, technology. Woz wanted Apple computers to be compact, fast, and affordable. He designed, and programmed the circuit boards, hardware, and operating system for the Apple I by himself. 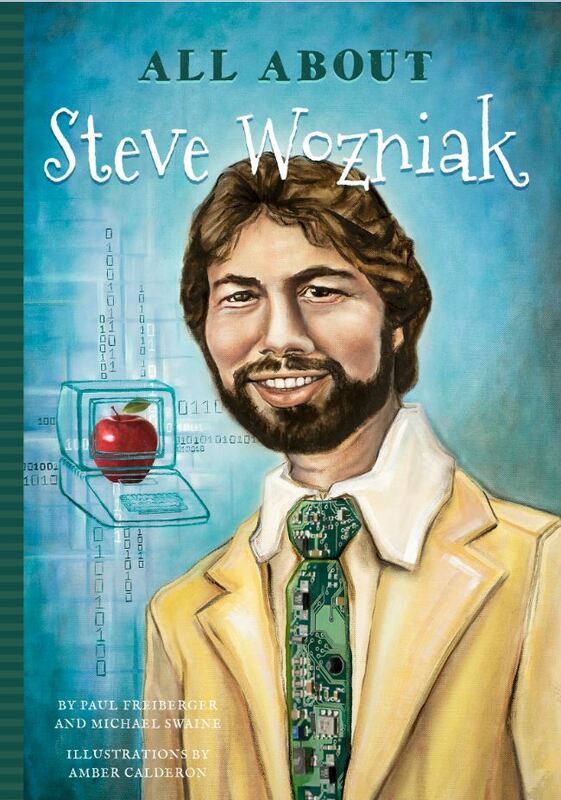 Wozniak pushed the limits of what a person computer was able to do to create a new era of computing. If it wasn’t for him, we wouldn’t have home computers, laptops, or smartphones. He changed the way people relate to technology, and the way technology relates to the world. Paul Freiberger is an award-winning writer. whose has been widely praised for its effectiveness and compassion. Paul won The Los Angeles Times Book Award as co-author of Fuzzy Logic (Simon & Schuster, 1994) and he co-authored the best-selling Fire in the Valley: The Making of the Personal Computer (McGraw-Hill) which was made into the Hollywood movie Pirates of Silicon Valley. He earned a B.A. in history at the State University of New York at Binghamton and a Masters in Italian from Middlebury College. Michael Swaine has been writing about technology full-time since he helped launch Info World in 1981. He co-wrote the seminal history of the personal computer, Fire in the Valley, which was the basis of the movie Pirates of Silicon Valley. He is the co-author for the Encyclopedia Britannica’s entry on Computer History and has written four different columns for MacUser. He currently edits for Pragmatic Programmers and publishes a programming magazine called PragPub. He lives in Oregon.